The Vivo V7 is here! The Vivo V7 is now official in the Philippines. After announcing the V7+ earlier this year, the company is at it again by announcing the shed-down version of the popular handset. In terms of specs, the Vivo V7 is in the same league of its older brother. It still tick with a Snapdragon 450 and comes with a Full View display, only that the screen now measures 5.7 inches. The battery and the memory is also trimmed down to 3000 mAh and 32GB, respectively. However, it's still the same beast with its 4GB of RAM, 16MP/24MP back-and-selfie camera combo, and rear-mounted fingerprint sensor. 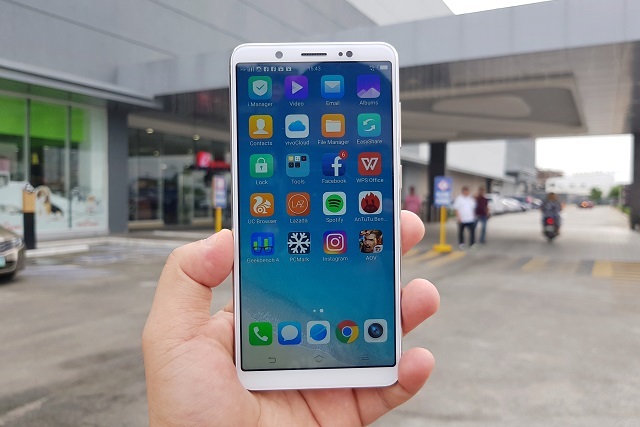 You'll still like the Vivo V7 and you will love it even more with its affordable price tag of Php 14,990. The Vivo V7 is available in Champagne Gold and Matte Black hues. You can start buying it in stores today, November 18. Check out our Vivo V7 unboxing here.